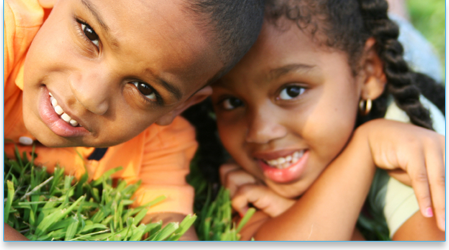 The Institute for Black Charities supports charitable causes, programs and initiatives that improve the quality of life to the impoverished on a local, national and international level. Our focus is to provide essential resources, comprehensive training and technical assistance. Offering these needed components to non-profit organizations, laypersons, and the community, we help enhance the services and delivery, which in turn strengthens the communities in which we live. ARIES addresses the critical needs of people and communities that are facing natural disasters and catastrophic life-altering situations. We serve as the point of collection and distribution for funds to address immediate relief needs. The ARIES program perpetuates our larger role of expanding philanthropy and bridging the divide in the Black community. Collective Fundraising addresses the lack of financial resources and focuses on identifying and improving access to funding sources, creating new opportunities for funding, and improving economic and community resources to provide services. Capacity Building supports the development of programs, initiatives and organizations through financial support, training and hands-on service to the community. Networking Forums and Collaboration brings together people and organizations to work collaboratively and supports them as they plan and carry out projects that improve the lives of children, families and communities. Workshops provide for educational enrichment, information sharing and the development of partnerships between participants. Institute for Black Charities is pleased to provide prospective clients the service of establishing Non-profit 501(c) 3 Tax-Exempt Status We are professionals in the field with thorough experience and knowledge in the application process for obtaining the status. We ensure that clients are provided with sound advice and guidance throughout the process. The Institute for Black Charities	has an exceptional track record in obtaining approvals for Tax-Exempt Status.We are with you until the job is done!